In today’s world of business online presence is mandatory. Research results show that online business is growing at a high speed. Businesses are ready to get the best e-Commerce development to scoop out largest possible chunk of revenue generated through this electronic process business. For this very scenario you have to agree that e-Commerce is now the mantra to reach maximum number of customers fast and in effective way. It is a very particular service by which the seller meets the buyer in a virtual way with all his products and services portrayed. The buyer can choose, order, pay, and review the product and/or service. According to the view of a salesperson, this saves an ultimate cost of establishing or running a new show-room, employing a lot of skilled salesperson and most important – a lot of valuable time from both sides. A buyer can just make a deal just by a few clicks of his mouse without making a physical presence by investing his time, transport and carriage. If you have a business then you would certainly have an ecommerce section to increase handsome revenue in the safest possible environment. I have been developing ecommerce sites as a freelance web designer & developer for about a decade. I have been giving ecommerce solution to businesses of my several clients across the Globe successfully. I know how to create the most effective ecommerce website with the best of ecommerce utility provided. e-Commerce sites are technically nothing but web portals. Considering the increasing growth of ecommerce sites in number, the importance is discussed separately. One of the important parts is ecommerce designing. The layout graphics actually promotes the product to the customer. The display should be like he is seeing the product twisting on his hand. Thus our designers bring a reality sense to choose the product through the competition. The other important is the content writing. It should be précised but sharp enough to know everything important about the product. My writers keep in mind that if your salesperson is not present with your customer let your content answer everything on their behalf. The user-friendly utilities like minimum scrolling, not so many confusing hyperlinks, easy to order cart, easy to access payment process must have to be implemented. The motto of developer team is to keep the customer relaxed, never-be-confused, always in smart platform to make everything cool and convenient to cover the deal. To enhance the aforesaid facilities, my fellow developers master through either custom coding and/or open source. Based on advanced PHP programming different kind of frame works, shopping carts and payment gateways are tied to complete the development. 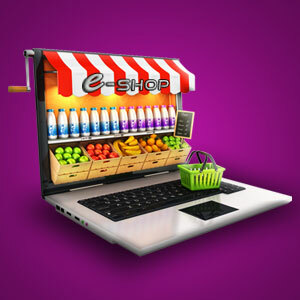 For a dependable ecommerce site development, I believe I have one of the most expert professionals with me. On my supervision, my creative designers specializing on ecommerce and product layout, content writers with expertise of writing business and product campaigns and highly experienced developers on ecommerce CMS assemble and write programs to create the expected product to attract numerous customers to your business. I can guarantee you the most secure, dependable and customized ecommerce development for growing the successful electronic business process on World Wide Web fitting to your budget considerably. Finally, I can say that I promise my clients to offer error-free ecommerce development for their business purpose. If you are an entrepreneur, just tell meyour desire what to. I believe my offer would match your budget for sure considering returns in your ebusiness.